Posted by Waltrip Mark on April 2, 2013. Posted by Waltrip Mark on March 26, 2013. 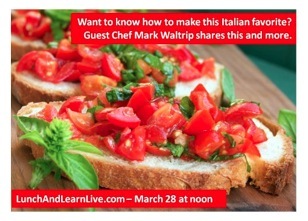 Join Chef Mark Waltrip and his host Marie Ioime on this live webcast as they demonstrate how to prepare some classic Italian dishes from Mark´s cookbook - "Recipes for Success! A Cookbook with a Recipe for Life". Posted by Waltrip Mark on April 25, 2012. GATLINBURG - April 17, 2008 - GATLINBURG - Westgate Resort captured the People´s Choice Award for Best Ribs and the Gatlinburg Elk´s Lodge took home People´s Choice Best Wings honors in voting at the 2008 edition of Ribfest & Wings in Downtown Thursday. 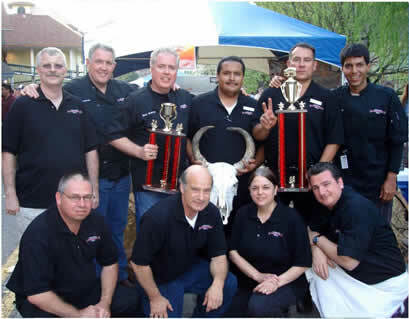 Westgate Resort took home the Best Ribs trophy this year at Gatlinburg´s 7th annual Ribfest & Wings. 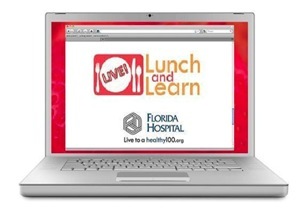 New book contains recipes for great food, great life!